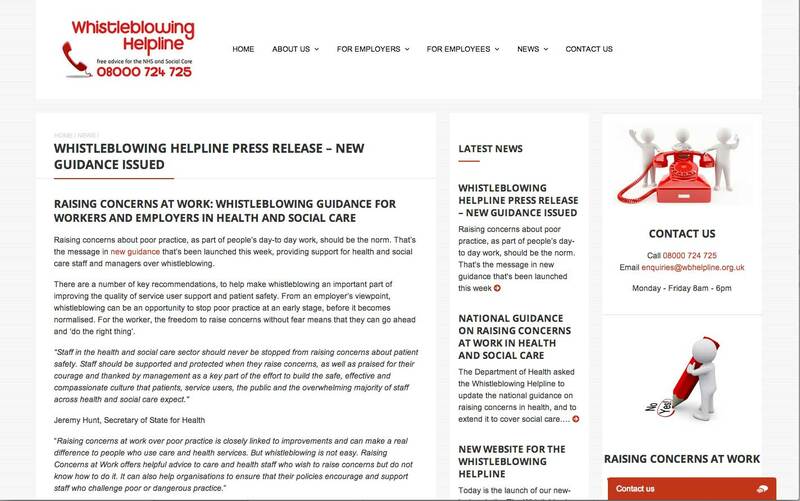 We are very proud to have worked with Mencap on its Whistleblowing Helpline, on behalf of the Department of Health. 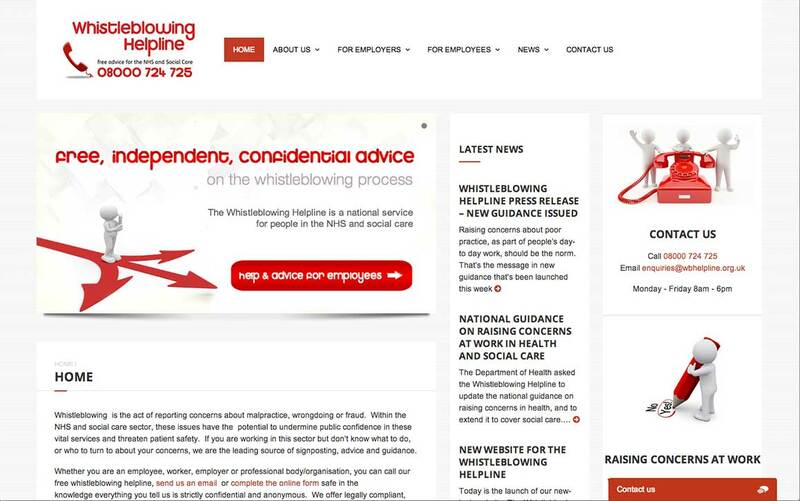 This vital freephone service is designed for NHS and social care staff who have witnessed wrongdoing or malpractice, and need advice on whether, or how to, raise their concerns. Having collaborated with Mencap on the original site, it was time for a refresh, and to make the site both more appealing and user-friendly. 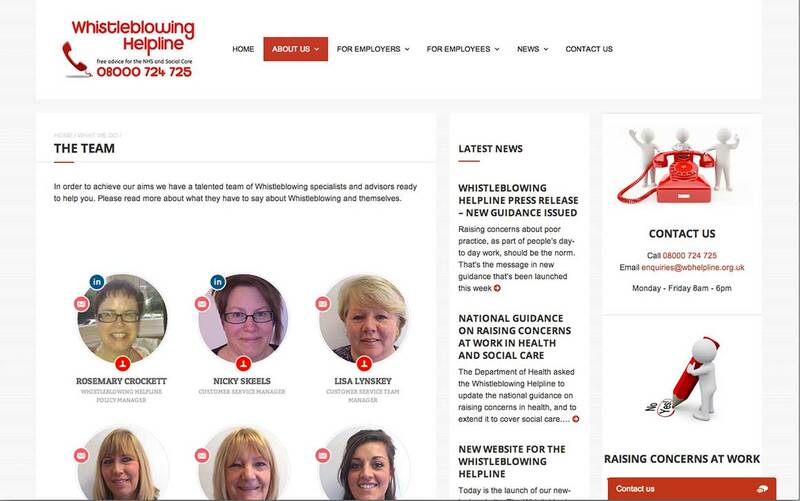 We made the home page, especially, more interactive, with a mix of news, guidance, video and enhanced contact information for site visitors, including a ‘chat’ option, where previously it had featured a simple explanation of the service and links to get in touch or find out more. We also provide maintenance and technical support, keeping the site up to date and running smoothly and visited them at their offices in Peterborough to deliver training for the whole team. “SOTO have made the site exactly what we needed it to be – easier to use, and easier for visitors to find exactly what they are looking for. 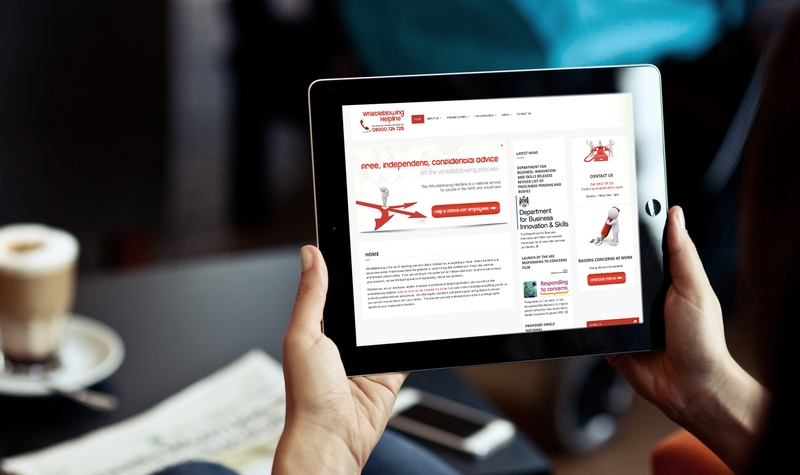 The previous site worked well enough, but we realised that pages could be hard to find, only accessible after a series of click-throughs. Talking it through with Zoey and her team helped us define a far clearer structure, and so the redesign has very much been carried out with the end users in mind – both for employees and employers.